So we haven't got the horse and the shining armour, but Nissan's European Roadside Assistance is the next best thing to come to your rescue. All new Nissan cars come with three year’s cover*** and the LCV range benefits from five years. Covering a range of services, it ensures that you stay mobile with minimum inconvenience in the case of eventualities such as a flat battery or engine failure. You’ll also benefit from one of our Customer Promises every time you service your car at your local Nissan dealership, meaning you can continue to enjoy one year's Nissan Roadside Assistance, even after your initial three years, completely free of charge. Handy if you’re one of the jet set. 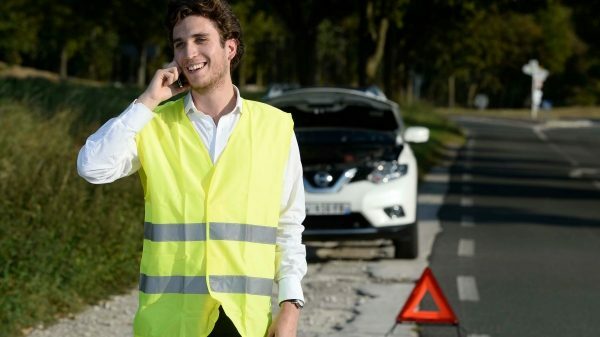 Almost 80% of all motoring problems can be resolved at the roadside by our assistance patrol. A replacement vehicle can be provided for a maximum of 3 working days or until your repair is completed, whichever is sooner. We can offer you B&B accommodation in a 3 star hotel (or equivalent) for 3 nights if required whilst your vehicle is being repaired. You and your passengers could choose to continue your journey via public transport, with the following options (a) Taxi up to 30miles (b) Train or ship, 1st class (c) Plane ticket, economy if the incident happens over 625 miles from home. The driver would also be covered for the journey to return and collect the vehicle. 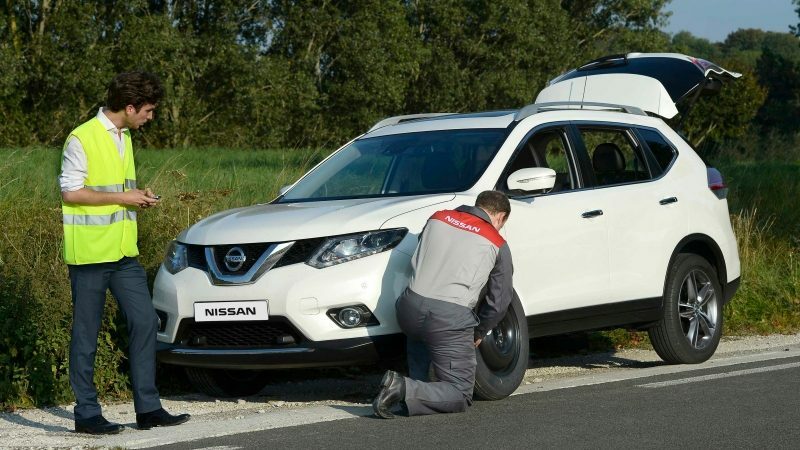 If it happens that your vehicle is immobilised or unavailable for more than 3** working days due to a breakdown and has been towed to a Nissan dealer, Nissan European Roadside Assistance will repatriate the vehicle, driver, passengers and luggage to your home* dealer. *Home dealer refers to the dealership where you purchased your vehicle and/or have your vehicle serviced. **A working day is defined as Monday – Friday inclusive, excluding bank holidays. 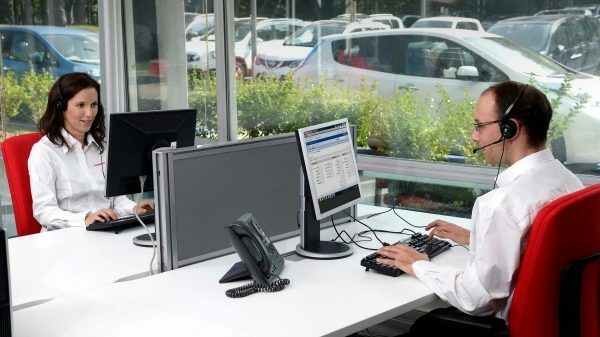 Benefits and services are provided by RAC Motoring Services. RAC Motoring Services (Registered in England number 1424399. Registered office: RAC House, Brockhurst Crescent, Walsall WS5 4AW). Terms and conditions apply. Please note, the additional services outlined on this page are available in the event of a 'warranty' immobilisation or breakdown, self-induced incidents or accidents. Accidents happen, and when they do you can rest assured that Nissan’s EV Roadside Assistance will get you back on the road in no time. All Nissan Electric Vehicles sold and distributed in EV countries are covered by Nissan EV Pan-European Roadside Assistance. This is provided for the duration of your vehicle’s basic warranty period – i.e. three years except E-NV200 which benefits for five years. You’ll also benefit from one of our You+Nissan CARE pledges every time you service your car at your local Nissan dealership. This means you can continue to enjoy one year Nissan EV Roadside Assistance, which also covers you in Europe, completely free of charge. 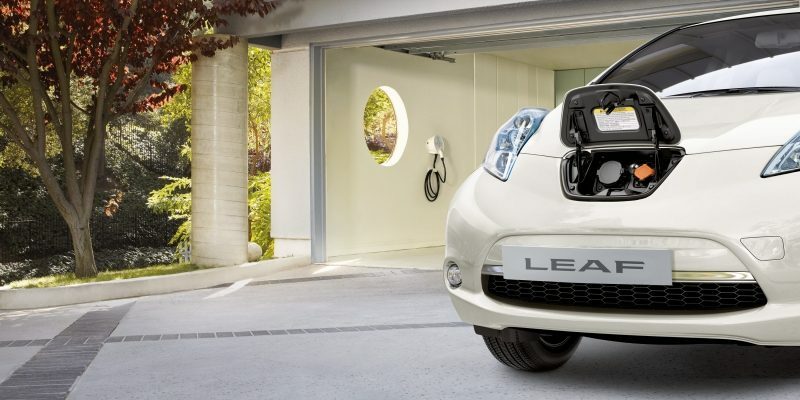 Our Electric Vehicles are designed for maximum reliability, but it’s good to know that you have complimentary Nissan EV Pan-European Roadside Assistance to give you the extra peace of mind. (i) *For countries not listed above the Towing warranty applies – should your vehicle become inoperative due to a warrantable or non-warrantable defect in a country not covered by the Nissan.